According to the company, the Comstock Live Trap makes the capture of common target animals a near certainty by combining a swing-bar trigger system with fast-closing spring-powered doors. 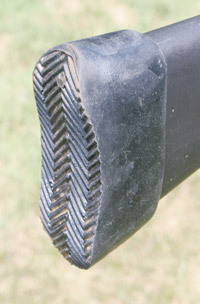 The trigger system includes two sets of wires (four wires in all) that extend into the trap and function much in the same manner as the trigger on a bodygrip trap. 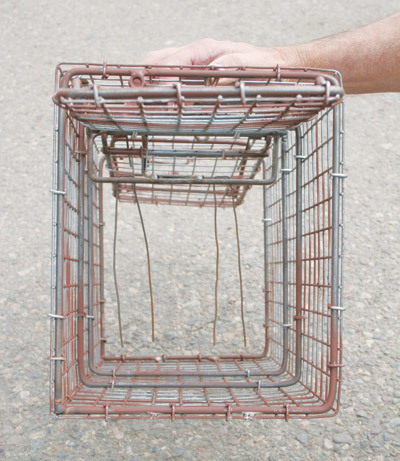 An animal cannot pass through without hitting the wires, and unlike the pedal trigger in a conventional cage trap, the animal cannot reach over or step over to steal a bait, either. The trigger can be adjusted for heavy tension or light tension. Unlike conventional gravity-operated doors, the spring-powered doors literally push the animal into the cage when the trap fires. The animal can’t back out from underneath the door, nor can it “beat” the closing door with quick reaction time. With both doors set open, the trap provides an inviting passageway for the animal, yet the four trigger wires completely cover the opening. Both doors of the two-door trap can be set open to create a tunnel effect. Can be set at burrows, crawl-unders, on trails and in other blind locations because the animal sees through with nothing blocking the way. May even be used as a chimney trap for nuisance pest animal control work. Or, one door may be left closed and a bait placed in the back of the cage in the conventional live-trap manner. When the powerful spring-activated door closes, it literally pushes the animal into the trap. Then a locking system assures the door stays shut. The trap will fire in any position, even set upside down. Spring-powered locking bars hold the doors securely once they close, and the doors will not come open even if the trap is rolled. The unique trigger allows an animal to enter farther before the trap fires. This, combined with the powered doors pushing the animal into the trap, mitigates the need for a long cage. 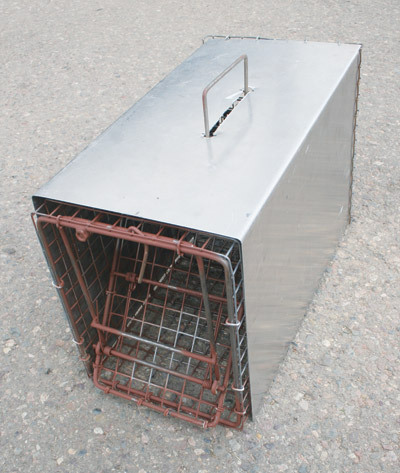 An optional solid cover comes in handy for transporting live skunks, and the cover also may be used as a tunnel extension for the trap itself. The compact 18-inch size is not only easy to transport, it is also more adaptable to situations in the field. Ideal for skunks, woodchucks, and similar-size animals; also available in 24-, 30-, 36-, and 48-inch lengths for larger animals. 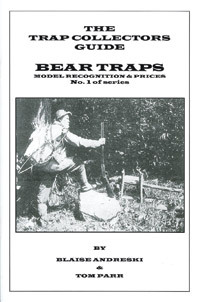 Trap Collectors Guide - Bear Trap Edition contains valuable information and current prices for most bear traps made from 1850 to the present. Includes detailed histories of the manufacturers and an in-depth look at each model, with specific information pertaining to springs, chains and pans. Full-color photos clearly show the details. 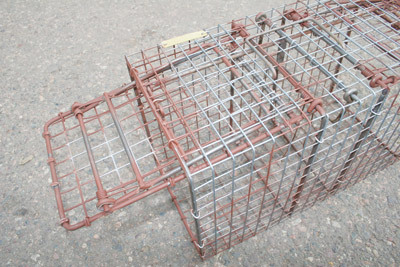 There is also a section on care for antique traps. 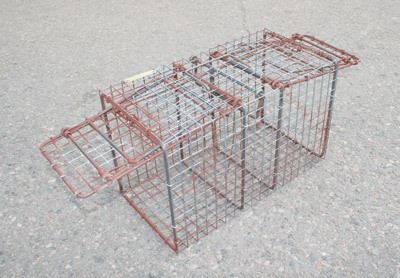 For advanced or beginning collectors, or any outdoor enthusiast who has an interest in bear traps. Written by well-respected and knowledgeable trap collectors, Blaise Andreski and Tom Parr. First in a series of Trap Collector Guides. Contact: Blaise Andreski, Dept. FFG, 582 Pentoga Trail, Crystal Falls, MI 49920; (906) 265-3958.